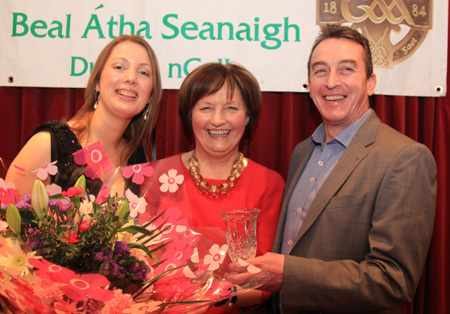 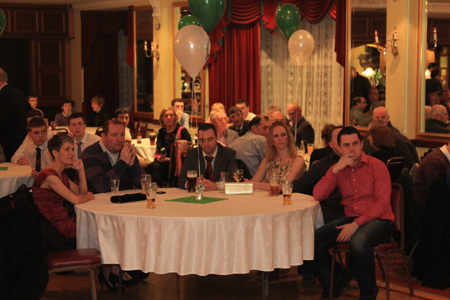 There was a fine crowd in attendance for the rather more informal edition of the Aodh Ruadh Annual Awards Night staged in Dorrian's Imperial Hotel last Saturday night. 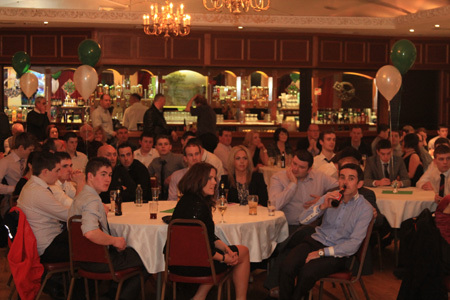 Sean Perry, once again took masterful control of proceedings which got underway with the presentation of medals to the intermediate reserve championship (2012) and league (2011) winners. 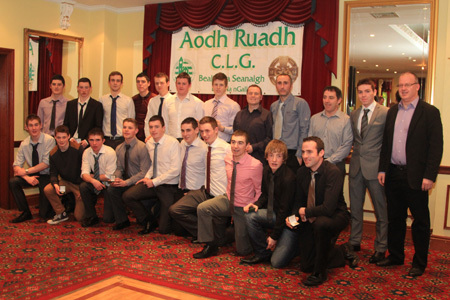 They were followed by the minor league champions receiving their medals for their exploits in 2012. 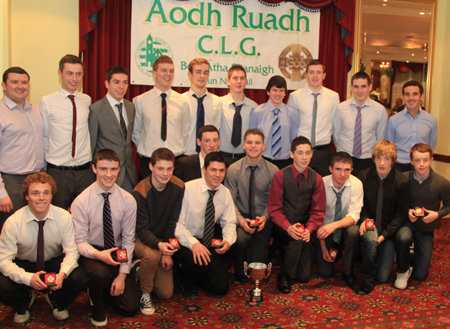 Young player of the year was drawn from the minor ranks. 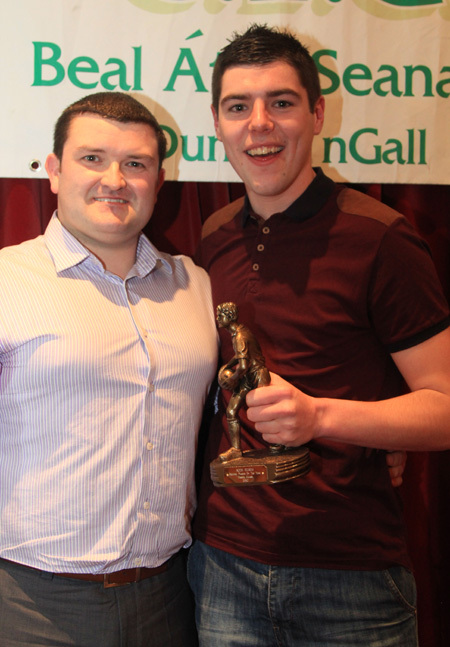 Another season of heavy scoring was crowned by inclusion in the minor panel for the year ahead for David McGurrin and his award should mark just the beginning of a very special career. 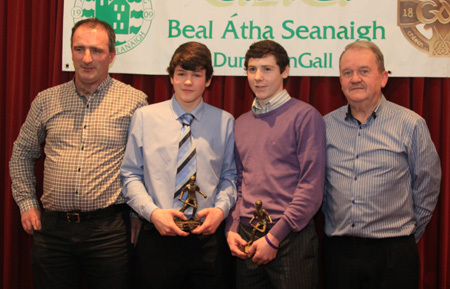 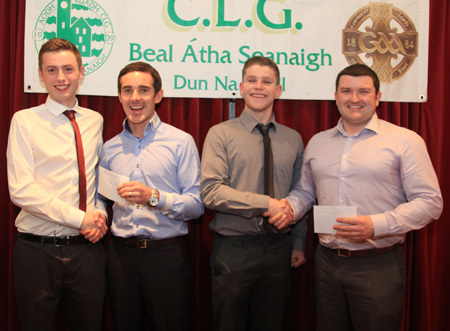 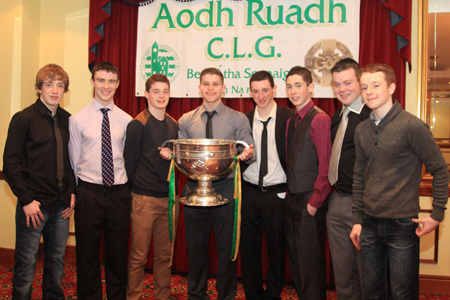 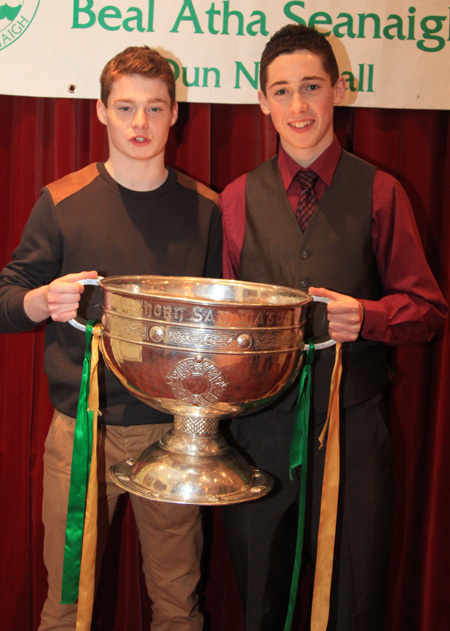 There was a joint award for the young hurlers of the year. 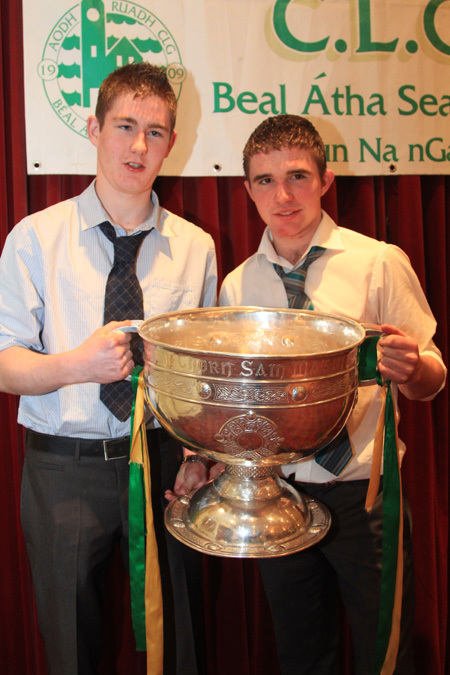 Colm Kelly and Jamie Brennan who represented club, county and province with enormous distinction in 2012 and they will be the bedrock of hurling for years to come in Aodh Ruadh. 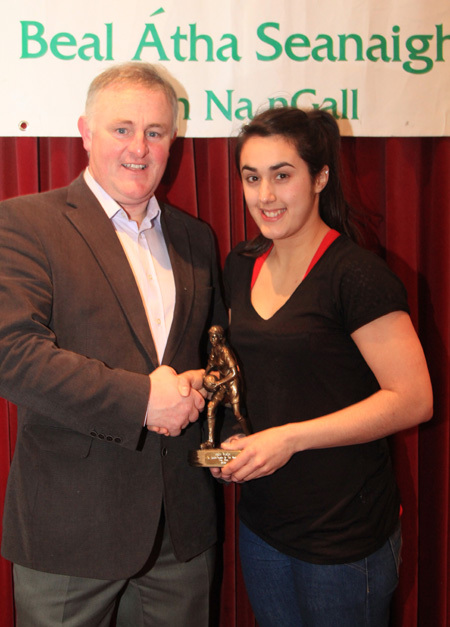 The ladies player of the year was the peerless Tara Khan. 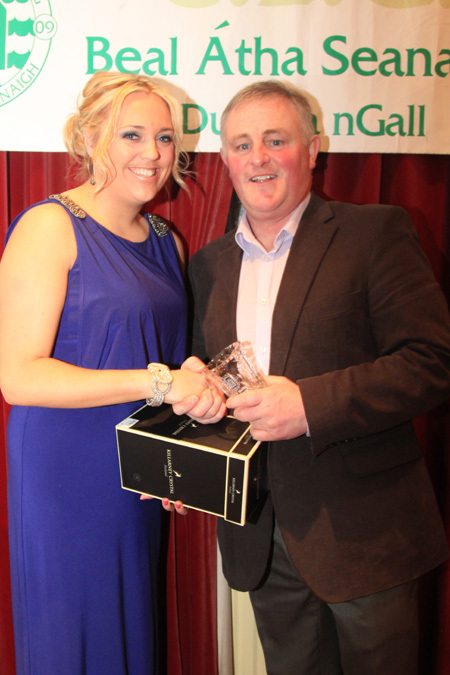 A star with club, college and county she played with great flair across the course of the year. 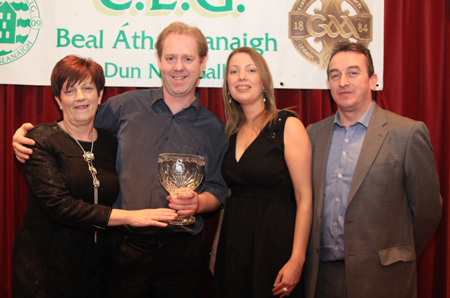 Damien Cleary was named reserve team player of the year. 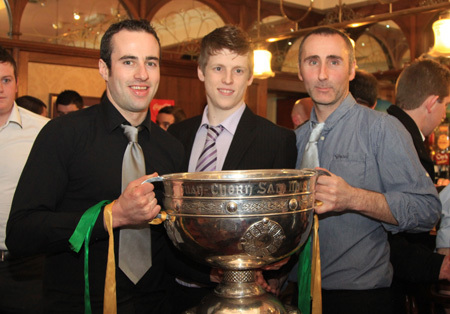 He returned to playing action in 2012 and quickly established himself as a dynamic presence in the midfield. 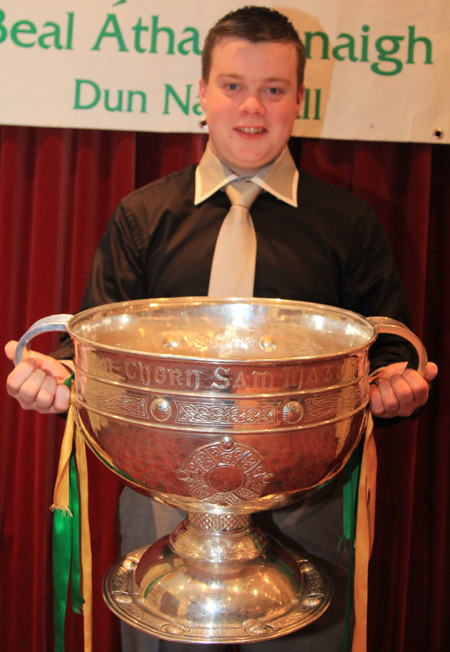 He also lined out with the seniors towards the end of the year and, still a young man, he has a bright future ahead of him. 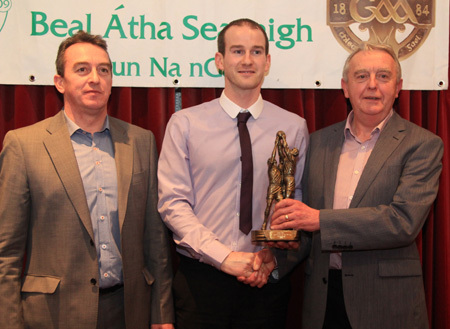 The Ciaran Keon Senior Player of the year award went to Anthony Boyle. 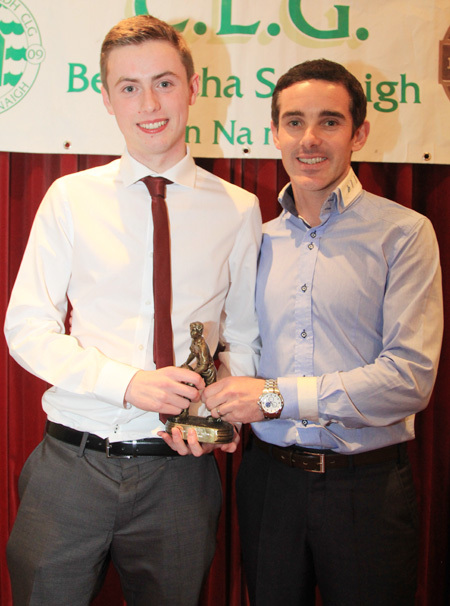 His dedication and work rate has been impressive this year and his contribution in the attacking stakes was a valuable boon to Aodh Ruadh. 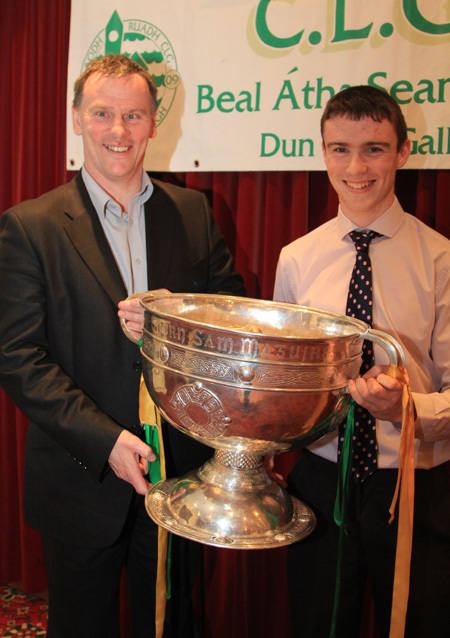 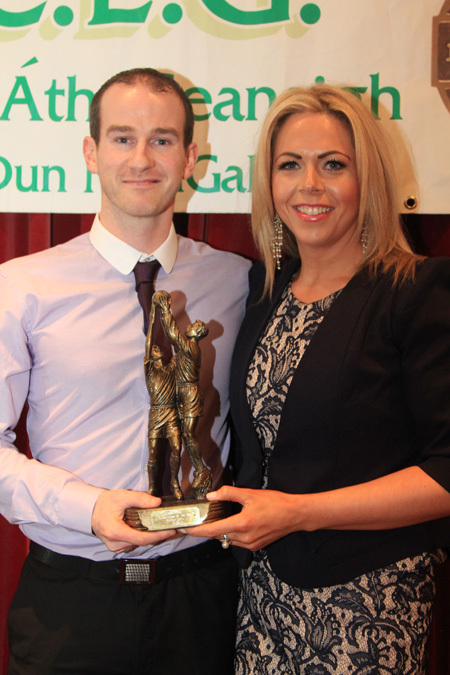 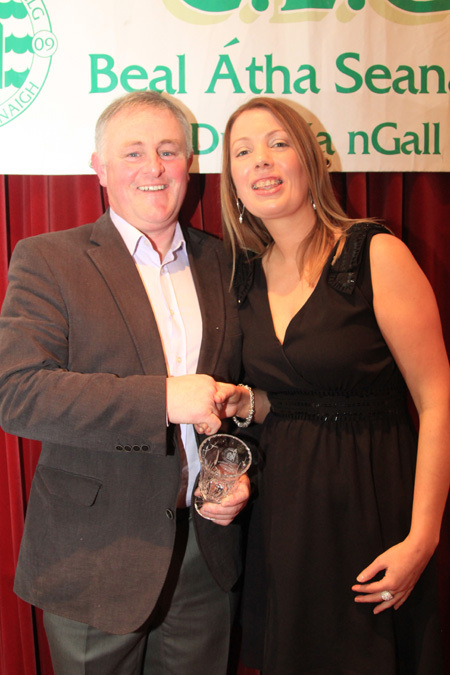 Much unseen work was rewarded as Sean O'Mahoney was the recipient of the Sean Slevin Club Man of the Year award. 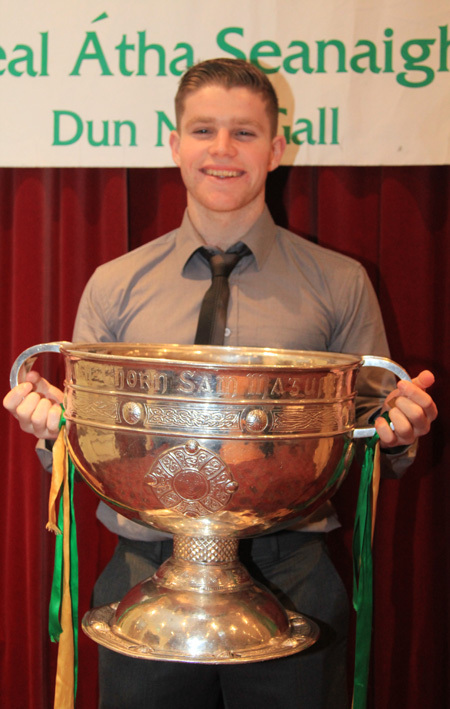 With countless hours ploughed into the club in various capacities Sean was a natural choice for this prestigious award. 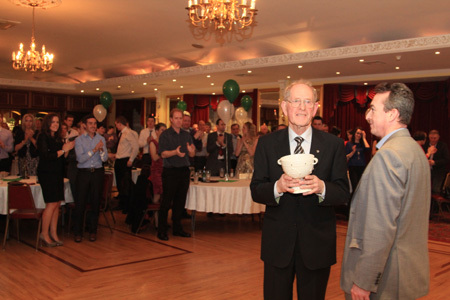 Probably the highlight of the night was the standing ovation afforded our inductee to the hall of fame, Peter Conlon. 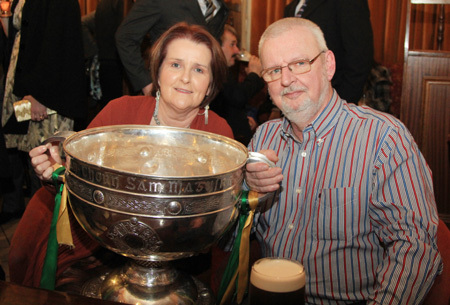 There can be few roles that Peter has not filled for the club in all his years in Ballyshannon, having served as chairman and secretary at various points and always there when called upon. 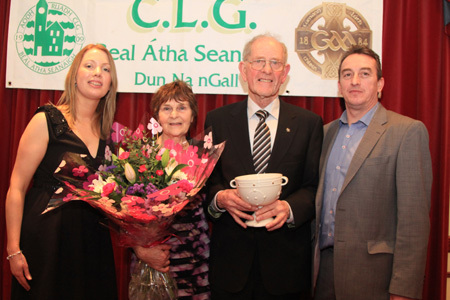 A richly deserved recognition for one of the true gentlemen of the club. 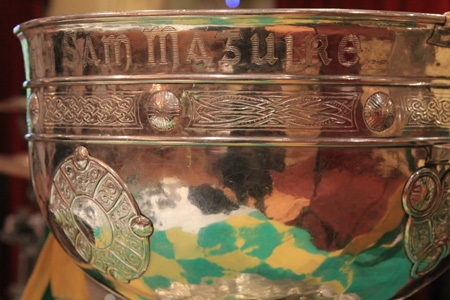 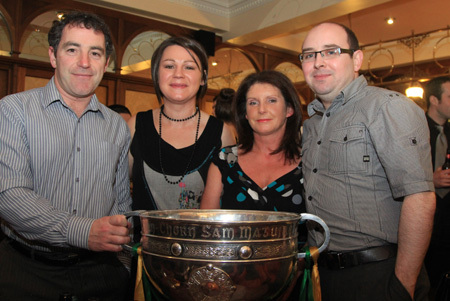 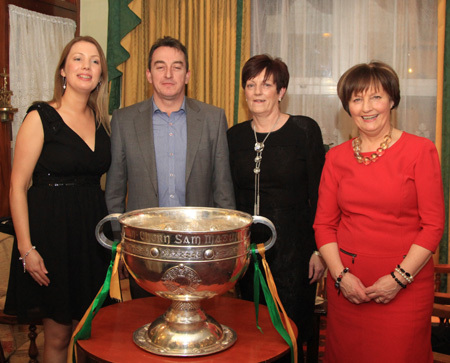 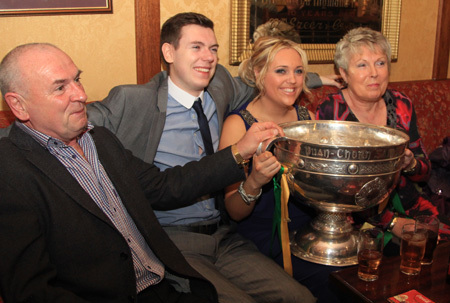 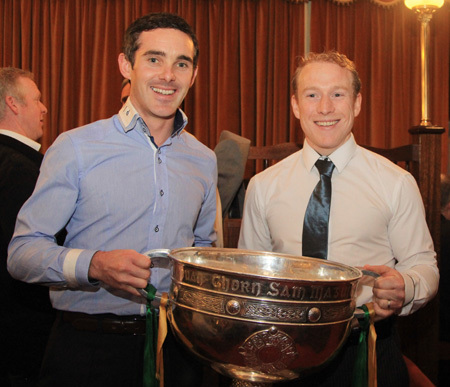 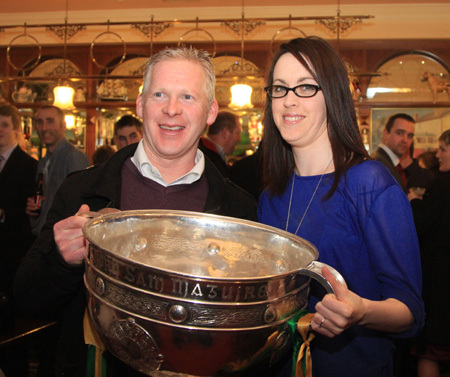 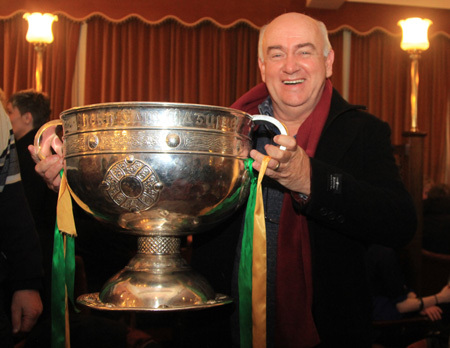 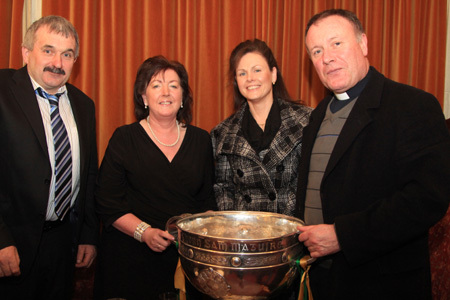 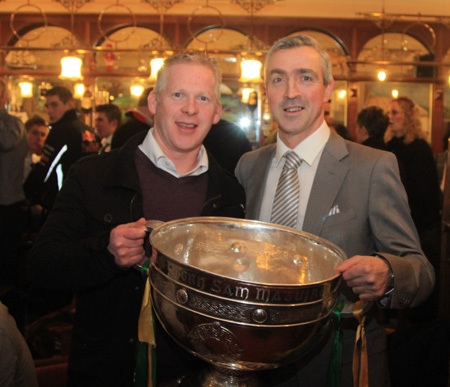 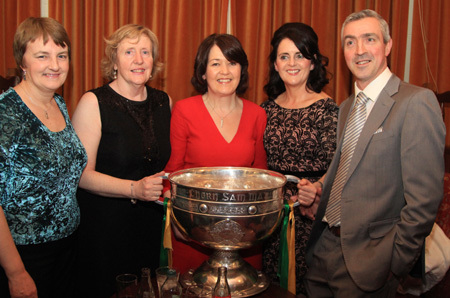 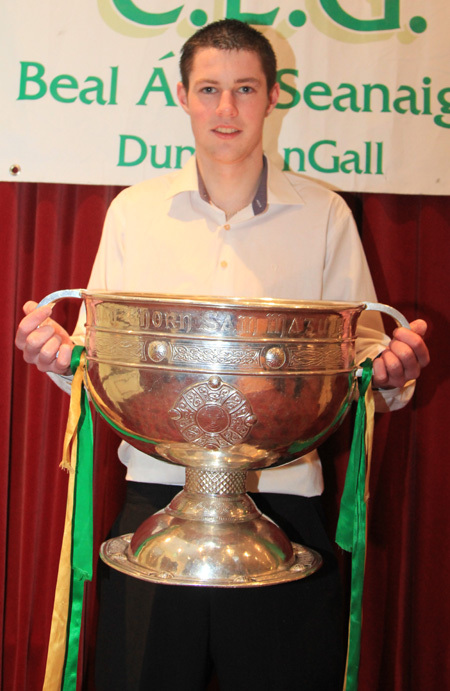 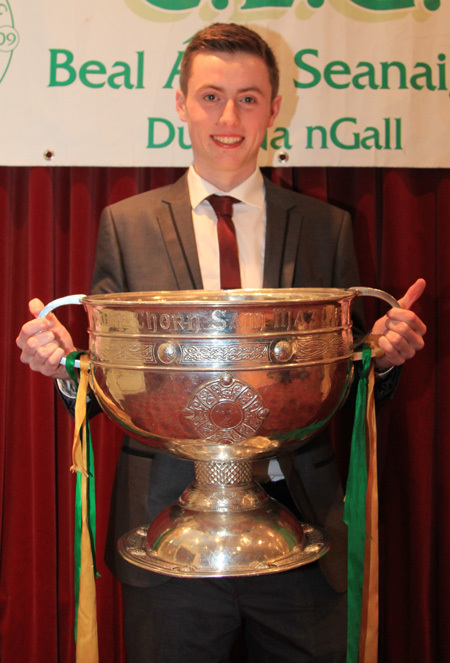 Sam Maguire was also in attendance on the night, with many taking advantage of the opportunity to get their picture taken with trophy.